You may or may not already have an idea of what your home design style is. If you do, that’s a great box to check off in the process of planning a remodel. If you don’t, taking a little time to narrow your style preferences down can greatly help. 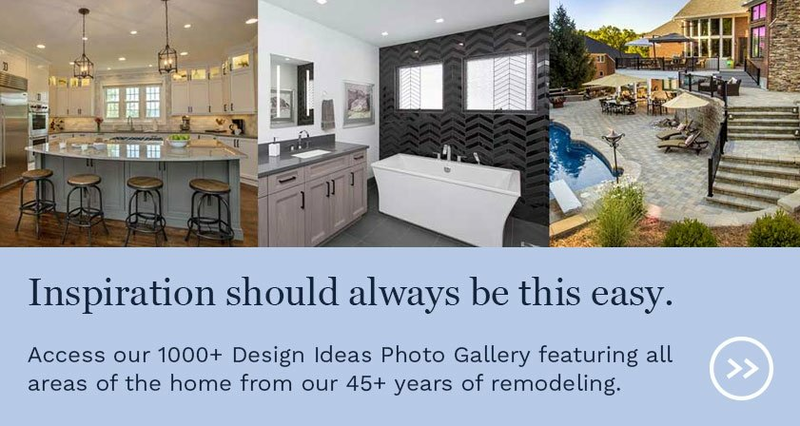 If you can go into your remodel with some confidence about the styles you like and want, it will vastly improve how quickly your designer can help find the products and layouts that work for you. 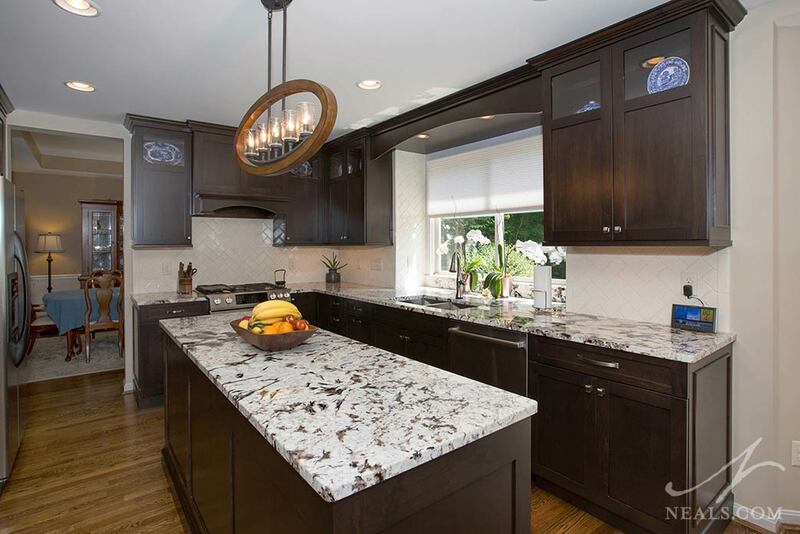 This transitional style kitchen in Loveland mixes contemporary lighting and hardware with a traditional backsplash design and cabinetry trim. There are three primary design styles that are helpful to understand. You may fit neatly into one, or you may like aspects of each. These terms are convenient shorthand that can help convey preferences to your designer or assist you with finding appropriate inspiration. In the end though, keeping in mind your personal character, the style choices that make your family unique, and the preferences you have for how your home feels, are the things that will make your home truly yours. This Montgomery master bathroom, with detailed cabinetry and turn-of-the-century influence is an example of traditional design. 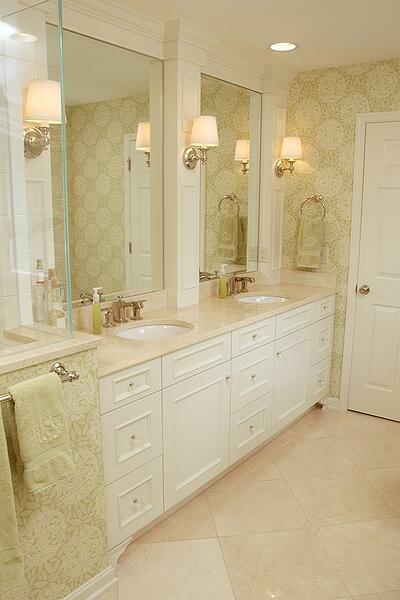 Traditional design is about intricate details, soft textures and warm materials. It is inspired by historical style movements including classic European or “old-world”, colonial, Victorian, and early 19th Century architecture and interiors. Highly decorative, with an emphasis on deep tones and luxurious details, traditional design generally conveys a feeling of grandeur, age, and refinement. 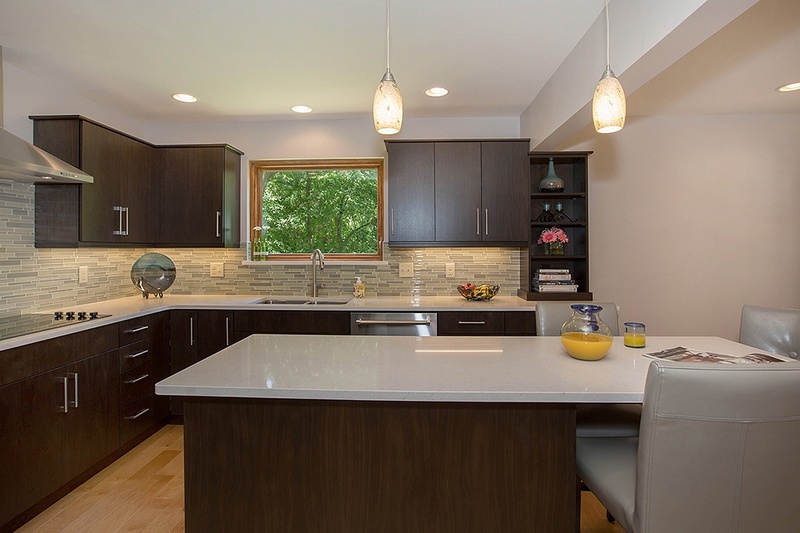 The minimal cabinetry, slim hardware, and playful glass backsplash of this Cleves kitchen are in line with contemporary design. Contemporary design features minimal details, an emphasis on materials, and clean, angular lines. It began to rise as a style following World War II, and came into popular use in the 1970’s. It is also sometimes referred to as "modern" design. Contemporary spaces are generally uncluttered and open, will have some unexpected features, and will have a curated mix of materials, textures, and colors to create interest. 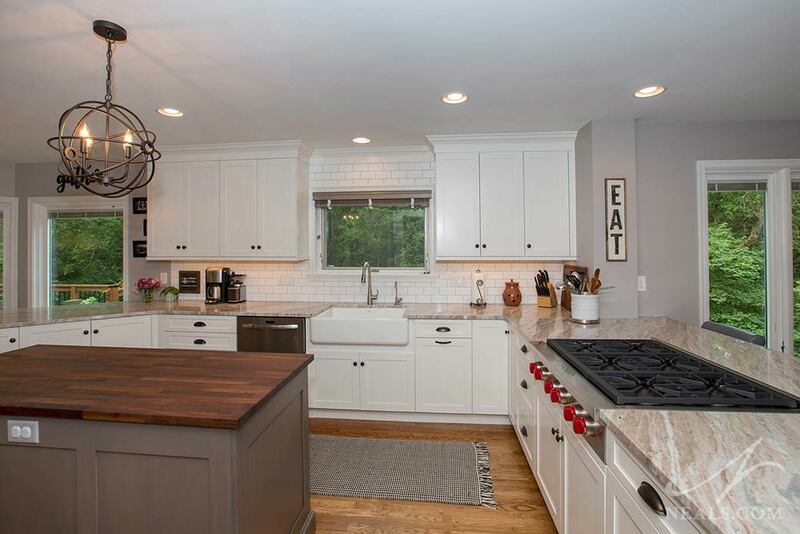 This West Chester kitchen fits the transitional style with a mix of both classic and casual elements. Transitional design, in general, falls between traditional and contemporary. It’s hard to say exactly what elements can be found in transitional spaces because one's interpretation may lean more traditional, while another may have more contemporary overtones. In most cases, a transitional space will favor the clean lines and unexpected choices of contemporary design equally as much as it showcases the well-considered details and refined notes of traditional design. There are other styles as well that can fall inside or in between these three primary styles. Of these more specific style genres, in the Greater Cincinnati area, we see Craftsman (transitional), Farmhouse (traditional), and Asian-inspired (contemporary) designs the most often. 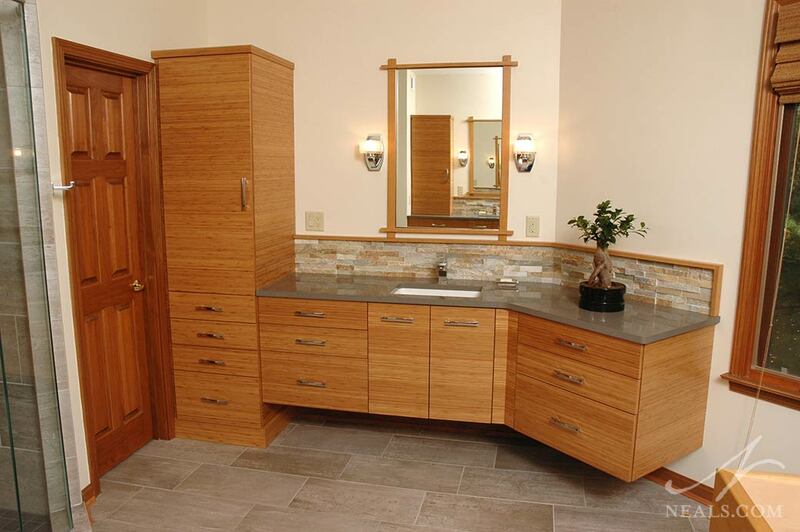 This master bathroom in Sycamore Township is a contemporary space inspired by Japanese design. If you aren’t sure which of these descriptors fit your style, try creating what’s known as a mood board. This is a collage-type board (Pinterest or Houzz are great for this) where you can put together the ideas you like the most, along with other inspiring images that aren’t specifically home-related, to help your designer get a sense for what you’re interested in and what appeals to you. 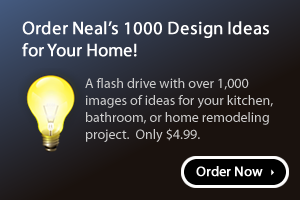 Neal's also offers a "Design Style Inspiration" slideshow in our 1000 Design Ideas Gallery that shows some of the different types of styles out there to get your ideas flowing.